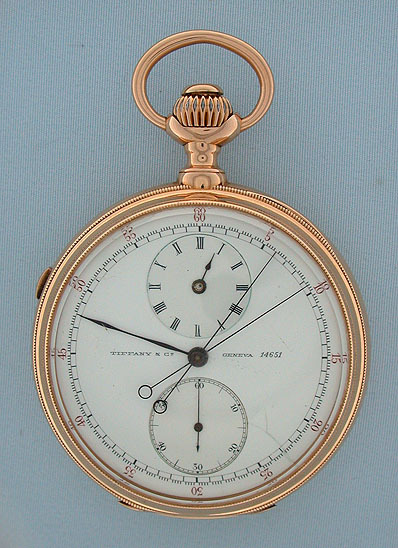 Very fine and rare Tiffany Swiss 18K pink gold regulator dial split seconds chronograph circa 1890. 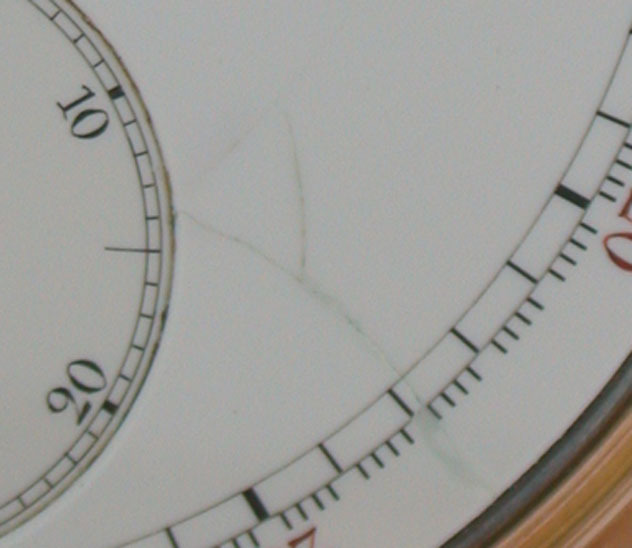 White enamel dial (cracks) with red and black numerals, subsidiary hours above, running seconds below, central minute hand, and two chronograph hands. 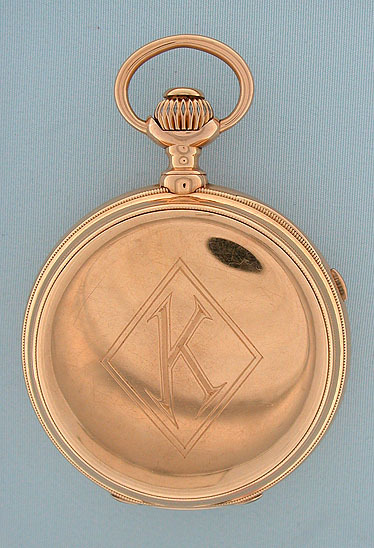 Plain polish case with buttons in the crown and the band to operate the chronograph. 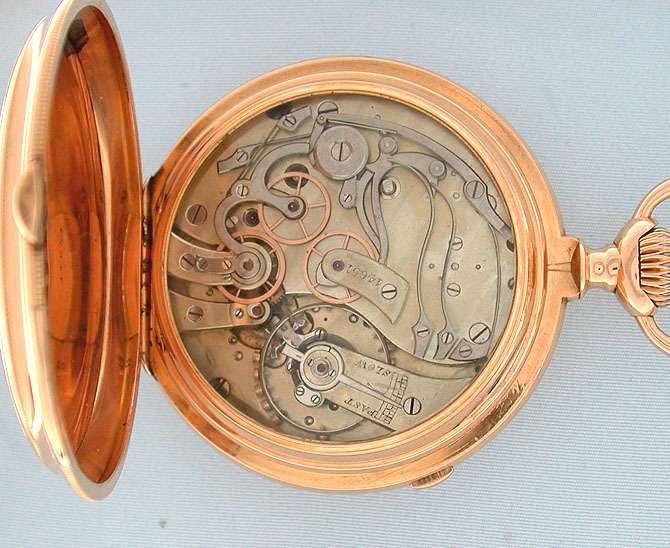 High grade 26 jewel nickel movement with gold chronograph wheels under hinged glazed dust cover.